First off, the release challenge: This months challenge is going to be sort of a color challenge. You are to use black, white and only only color (or at least monochromatic scheme of one color) NO other colors allowed. If uploading your card to SCS, please use the keyword TSG08. Challenge is open from Friday-Sunday. Winner will be chosen on Monday, receives their choice of one of the new stamp sets. 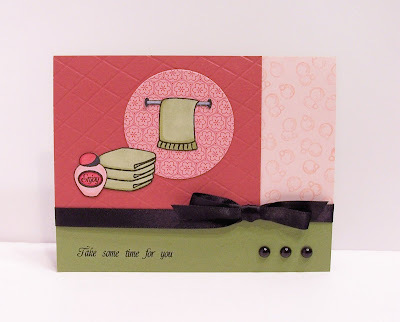 Link your card in the Mr. Linky box on Jessica's blog. Full details can also be found there. Okay, onward we go: today the Trendsetters are showing sneak peeks of two set being released at There She Goes this month, Rejuvenate and Act of Kindness. I scored the red background to mimic tile, and the bubbles are clear embossed to make them stand out more. I stamped the stem trio in black directly on the patterned paper, I think it looks pretty cool like that! Okay, today is the only day we are doing the blog hop challenge, so head over to Christi's blog next. Once you have commented on all the blogs, go to Jessica's and leave your name in the appropriate Mr. Linky box. Two winners will be chosen. Good luck! Okay, I think that's everything! Thanks for stopping by! Great Cards Becky! just love your style as always! As usual, your cards are beautiful. I love your CAS style. Love your Live, Laugh, Love card. I think it is the colors, they just seem to sing to me! What great cards! I am pretty sure I am in love with Act of Kindness already and I have lots of blogs to check out yet! Both cards are gorgeous, Becky! Absolutely amazing! I always look at your cards and wonder why I didn't think of that. Beautiful! What a versatile set! I love the color combo. Great job! I love the simple and pretty cards you always make. I love these cards too as always! Adorable Becky! I love both your layouts-beautiful! Fabulous stamp sets. Love the layouts you've made! Love the cards - especially the scored lines to make the cardstock look like tile! Great job. Oooh, super cute cards! I LOVE those leaves on that second card, so cool! Wowee!! These are both gorgeous!! Great cards, friend!! LOVE LOVE LOVE the second card!! The colors are fab!! Beautiful cards! Love your color choices. wow! I love both cards, BUT that second one rocks! love the black ink on that dp. really nice! Great cards. I really like the layouts on both your cards. I must say the Pink card caught my eye. I love the bold look of the black stem trio on it. This set is too cool! Love the hopping. Your cards are so cute! The scoring on the first card to resemble tile is very clever. Total cuteness, Becky! I love that first card--the colors and LO are just perfect! Super cards, Becky! I love the colors on the second one especially. The black stems really pop! Great cards Becky! That effect of scoring for tiles totally rocks! 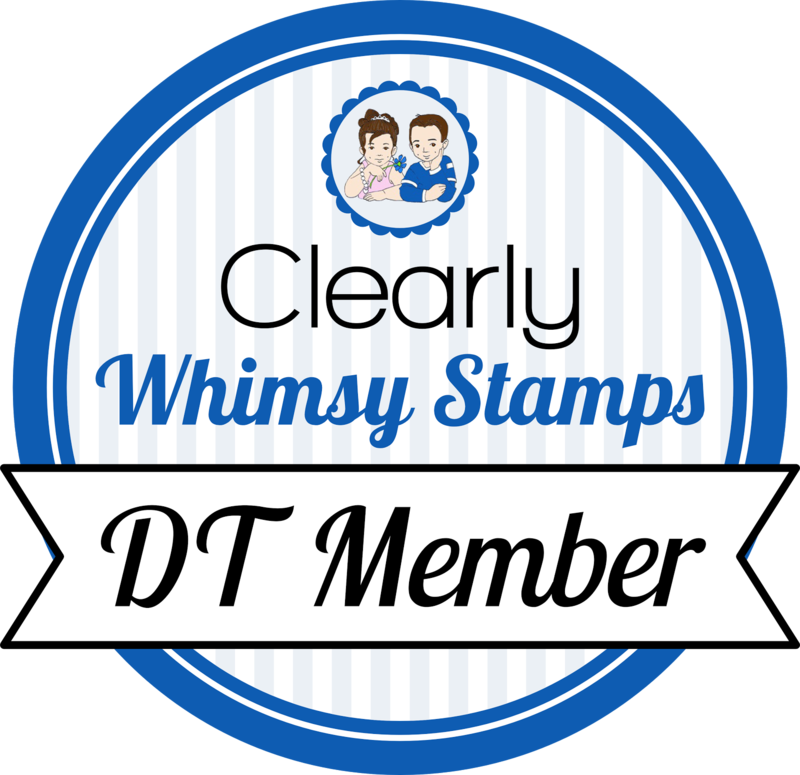 terrific cards & blog! I love your clean style. Gorgeous cards, LOVE the new sets :)! I love the tiles and bubbles! These are wonderful! Love your scored tile bg. These are MAGNIFICENT Becky! Your style is SO totally awesome!! Great cards. Can't wait to see the entire sets. Beautiful job on both of these cards Becky!! I love these cards - esp. the red tile - great idea! And, the trio stamped on DP - beautiful effect. Thanks for sharing! I especially love the second card - just gorgeous! Cute card. I love this hopping around stuff! Becky, I love your cards - the second one is particularly fabulous...love the colours and the layout! God bless you! I can see where I am going to love both of these sets. Great cards, great ideas, Becky. I just love what you've done with your cards! They are just gorgeous!!! Great Job!! !